The fall 2015 Haute Couture fashion shows in Paris gave us a lot to think about and this Armani Privé show was just beautiful. I’m always fascinated by the Haute Couture collections because, having had my fashion training in a school where a lot of couturiers have started, I saw how much work and passion is needed to make those dresses. They become like a painting, something so precious that will last forever. The atmosphere of the Armani Privé défilé reminded me of the movie “Blade Runner” by Ridley Scott, one of my favorite movies. 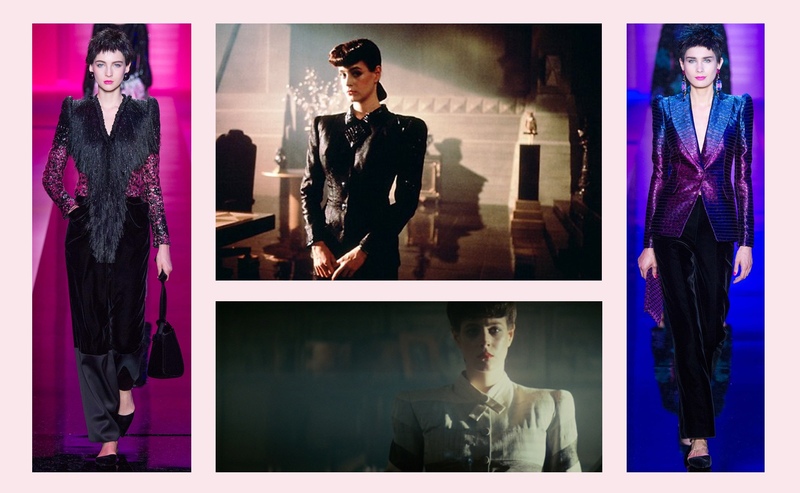 The colors, the feeling of the collection and the mise en scène of the show made me think of that movie. Here are some images from the show and from the movie, I suggest you watch it if you haven’t. Enjoy!